It was wonderful to hear from so many of you about how much you all enjoyed and were edified by part one, and part two of "Super Bible Facts for Super Bible Study". Now, before we move along to part three and the next 10 Super Bible Facts for Super Bible Study, I want to point out once again that it is super important for you all to become fully aware that the messages from the first chapter of Matthew to the last chapter of Revelation FIVE different groups or classes of people are addressed. Keep these five different groups in mind, and you will derive both blessing and benefit as you carefully study this second set of 10 Super-Facts, (we added 2 BONUS Facts for this message, SURPRISE). 1) The "Law" Dispensation was both parenthetical and TEMPORARY. Galatians 3:19 , Hebrews 8:7-13 . The Law, which was contrary to man, was nailed to the cross. Colossians 2:14 . 2) In the first eleven chapters of Genesis we have the record from creation to the call of Abram, about 2100 years. Israel was Abraham's grandson. About 70 souls out of the loins of Jacob (Israel) went to Egypt about 1900 B.C. More than one million Israelites came out of Egypt about 1500 B.C. Exodus 1:5 , and Exodus 12:37 . 3) The period from the sin of Adam to the time God made the Sinai Covenant with Israel, is called, "from Adam to Moses," "when there is NO law." Romans 5:12-14. Remember also, that there were no Israelites before the flood. Abel, Seth, Enoch, Noah, Shem, and Eber were not Israelites. But the Israelites were "Eberites," and "Shemites." The Jews are still called the "Semitic" people. 4) From Genesis 12:1 to Malachi 4:6 , there are 926 chapters. With the probable exception of Job, and some of Proverbs, they all deal with the one Nation Israel. The other nations spoke of are only those nations that have dealings WITH Israel. All of the 39 Books, from Genesis to Malachi, were written by Jews. Read Romans 3:1 , and Romans 9:4-6 . If Luke was a Jew, then the 27 Books of the New Testament were written by Jews. 5) "The times of the Gentiles" politically, or governmentally, began about 600 B.C. (Jeremiah 50-52 .). "The times of the Gentiles" spiritually, began when God sent temporary blindness upon Israel and the Risen LORD Jesus Christ sent the Apostle Paul to the Gentiles with the Ministry of Reconciliation. 6) The Spirit of Christ was in the Old Testament prophets and testified beforehand the sufferings of the LORD Jesus Christ, and the glory that should follow. 1 Peter 1:11 . In Genesis 3:14-16 , BEFORE the Old Testament existed, Christ was to be the Seed of the woman; in Malachi 3 , "the LORD Whom ye seek." In Isaiah 7:14 , Christ was to be the LORD AND the Seed of the woman. Fascinating stuff! 7) All of the prophets "SINCE the world began" spoke of the restitution of all things (the millennium or the coming kingdom age). Acts 3:21 , and Acts 3:24 . When that time arrives the twelve apostles will be sitting on twelve thrones judging the twelve tribes of Israel. Matthew 19:28 . Note the words of the LORD Jesus Christ in Mark 1:14-15 and Matthew 4:17 , why the Kingdom of Heaven was at hand. 8) The prophets foretold that Christ would be the Stone rejected by the builders. Matthew 21:42 . Luke 20:17 . Psalm 118:22 . David wrote that Christ would be raised from the dead to sit on David's throne. Acts 2:27-32 . Now, carefully note the prophecy of Amos in 9:11-15. Christ, here, is to build again the tabernacle of David, and save Israelites and Gentiles. This is the program of Acts 15:13-18 . 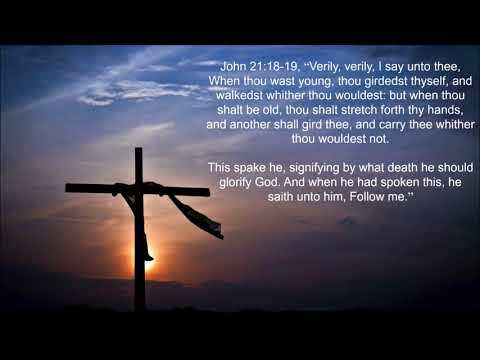 9) The Old Testament Prophets foretold the resurrection of Christ. 1 Corinthians 15:4 . Psalm 16:8-10 . They foretold the time of Jacob's trouble, Israel's "tribulation." Jeremiah 30:7 . Luke 21:11 . They prophesied "the tree" (Calvary), "the tribulation", "the throne", and "Gentile salvation." In Abraham's seed all nations would be blessed. Note what these Scriptures foresaw when Abram was justified. Galatians 3:8 . 10) The Old Testament Prophets prophesied that Christ would be a King on David's throne. Isaiah 9:6-7 . Psalm 24 . Ezekiel 34:23-24 ; Ezekiel 34:28-31 , and Ezekiel 37:24 . HOWEVER, the Old Testament Prophets never ONCE prophesied that The LORD Jesus Christ would be the Head of the Body of Christ. Ephesians 1:19-23 . Believing Jews and believing Gentiles joined, without distinction, in the one Body of Ephesians 4:4-5 of which Christ is the Head was truth NOT known and NOT prophesied by Israel's prophets. 11) When the Old Testament Prophets foretold the salvation of Gentiles, many times it was concerning their salvation IN THE KINGDOM, in SUBJECTION to Israel, but NEVER concerning God's eternal purpose in Christ, as revealed in 2 Timothy 1:9-11 and Ephesians 3:8-11 . The Apostle Paul preached to Gentiles many Divine truths about which Israel's prophets wrote and spoke, but he ALSO preached among them the unsearchable (unprophesied) riches of Christ. Ephesians 3:8 . Read carefully 2 Timothy 1:9-11 and compare with the Apostle Peter's message to Cornelius in Acts 10:34-38 . Once again the purpose of these videos is to put together for members of the Lion and Lamb Ministry, and whoever may happen to watch this, "Super-Facts" to help you in your Bible Study. As stated in Super Bible Facts for Super Bible Study, part 1, I want to reiterate here, that you all become fully aware that the messages from the first chapter of Matthew to the last chapter of Revelation FIVE different groups or classes of people are addressed. For an in-depth explanation of these five different groups I urge you to read "Super bible Facts for Super Bible Study, part 1". Now I believe if you will keep these five different groups in mind, you will derive both blessing and benefit by carefully studying this first set of 10 "Super-Facts". 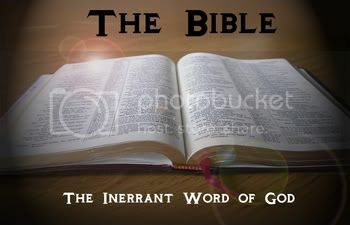 1) SUPER BIBLE FACT: There is not one line concerning the Old Testament in the Book of Genesis. The Testament (Covenant), made OLD by the death of Yahweh Yahuwshua, The LORD Jesus Christ, was established about 2500 years after Adam left the garden of Eden. Hebrews 8:9-13 . Exodus 20 . Romans 5:20 . Galatians 3:19 . There is no reference to that Covenant in Genesis. 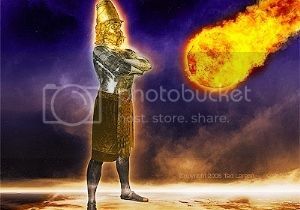 2) SUPER BIBLE FACT: Abram (Abraham) was not a Jew. God called "Abram" in uncircumcision when he was SEVENTY FIVE years old. Genesis 12:1-15 . He was circumcised and became "Abra`­ham" 24 years later. Romans 4:8-12 . Genesis 17:6-16 . The gospel was preached to uncircumcised Abram 430 years before the Law was given at Sinai. Galatians 3:8-17 . Therefore, Abraham did not live under the reign of, or Dispensation of Law. 3) SUPER BIBLE FACT: The word "Jew" is found for the first time in Esther 2:5 , about 470 B.C., or centuries after Abraham was circumcised. "Jews" is found the first time in 2 Kings 16:6 , about 624 B.C. The word "Jew" is found about 300 times in the Bible; the word "Christian", 3 times. The Jews are called "Judah" or "Juda" about 812 times in the Bible. 4) SUPER BIBLE FACT: When the word "Jew" or "Jews" is used in the New Testament Scriptures, it generally refers to Jews by religion, and the leadership, rather than to the descendants of Judah. John 2:13 ; John 7:11 ; John 11:55 ; John 19:42 , and Galatians 2:14 . 5) SUPER BIBLE FACT: In Esther 8:17 is recorded the fact that Persian Gentiles became "Jews". This, of course, refers to religion and not to race. The Gentiles thus were known as "proselytes." The males were circumcised. Some of the devout Jews from every nation under heaven on the day of Pentecost were proselytes. Acts 2:5-10 . 6) SUPER BIBLE FACT: Abram was declared righteous 430 years before The LORD made the Covenant (now Old) with Israel. Galatians 3:16-19 . Abram, in uncircumcision, believed God and it was counted unto him for righteousness. Genesis 15:6 . Galatians 3:6 . Romans 4:3 . James declared that Abraham was justified by works when he offered Isaac. James 2:21 . HOWEVER, that was YEARS after he was justified by Faith. 7) SUPER BIBLE FACT: Abraham was not an Old Testament saint. Neither was his son Isaac, nor his grandson Jacob (Israel), nor any of the twelve sons of Israel, including Levi, Judah and Joseph. None of these were Jews by religion, although circumcised. 8) SUPER BIBLE FACT: The Book of Romans (especially Romans 1 ) tells how God cast away the Gentiles, right about the time Abram was called out. Romans 11 relates how Israel was cast away right about the time that the Apostle Paul was sent to the Gentiles. The temporary casting away of Israel brought reconciliation for Gentiles and the Reign of Grace for the human race. This was AFTER Acts 13 . 9) SUPER BIBLE FACT: Nothing is said about the SABÂ­BATH during the 2500 years between Genesis 2:2 and Exodus 16:23 . God gave no SABBATH to Noah, Abraham, Jacob, and Joseph. Not one of these fathers was under the Law. Abram found rest in a Person, NOT in a day. Abram had the Faith in God but no God given religion. He was circumcised 24 years after he was justified by The Faith. 10) SUPER BIBLE FACT: The LAW was added 430 years after God preached the Gospel of Grace to Abram, till Christ fulfilled and abolished the Law. Galatians 3:17-19 . 2 Corinthians 3:11-13 . The LAW entered 2500 years after sin entered the world by Adam. Romans 5:20 and Romans 5:12 . Therefore the "Law" Dispensation was both parenthetical and temporary. Galatians 3:19 . Hebrews 8:7-13 . The Law, which was contrary to man, was nailed to the cross. Colossians 2:14 . "AND I saw when the Lamb opened one of the seals, and I heard, as it were the noise of thunder, one of the four beasts saying, Come and see. And I saw, and behold a WHITE horse: and he that sat on him had a BOW (but no arrows); and a crown was given unto him: and he went forth conquering, and to conquer. Learn, right now, what you need to know about this LAST of the World Empires. This is current event stuff, so pay attention. The U.N. has already mapped out and divided up the current Nations into 10 Super Spheres of influence. Therefore, for example, when you hear about NAFTA, it is not simply an economic union...but a super nation; rather, it is Nation #1 of this 10 Super Nation New World Order. Very few people understand this, because they have been conditioned by our national leadership, aided by our national mass media. No one has ever explained this before. Now, you can understand why Presidents as seemingly dissimilar in world view, style and philosophy as Presidents Bush, Clinton, Bush, and Obama could support the creation of NAFTA. President George H.W. Bush began the push to create NAFTA, but was unable to see it created before he left for office. President Clinton supported NAFTA, even though he opposed nearly every other thing for which Bush stood. Now, do you realize the exciting importance of NAFTA to the NWO maniacs? It is Nation #1 in the 10 Nation Reorganization Plan! All major nations in this Plan are now planned; the minor groupings of nations [Super Nations #4, #5, #6, #7, #8, and #9] are being created secretly, as well. The Day of the Lord, as it is spoken of in Scripture, may be referred to in its narrowest sense to the reign of Christ on earth, but in its broader sense it includes the whole Tribulation period. HOWEVER, there is every reason to believe that The Day of the Lord WILL BE a prolonged period, and THEREFORE It must not be confined to seven years, as is so often done. There is NO scripture that says explicitly that Daniel's Seventieth Week, The Time of Jacob's Trouble, the GReat Tribulation BEGINS immediately following the Harpazo or Rapture of the Body of Christ. The time between the coming forth of the Lord into the air to meet His Church, and His coming unto the Earth WITH His Church, His Body, in power and great glory, can correspond to the thirty-three years between His coming FORTH at Bethlehem (Micah 5:2) and His coming UNTO Jerusalem (Zech. 9:9). All the events between those two we speak of as constituting His "first coming." 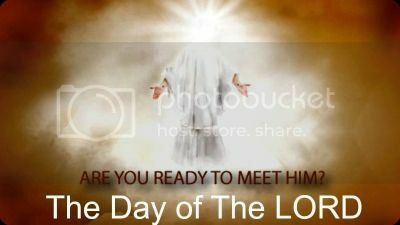 In like manner, all the events described in the Book of Revelation, which take place between His coming "for" and His coming "with" His Body, we may speak of as "His second coming" or "the day of the Lord." Again, these events may occupy a similar period of thirty-three years for all we know; and if to these we add the seven yeas of the last week of Daniel we have a period of forty years. And the number 40 has long been universally recognized with its association with a period of probation, trial, and chastisement.